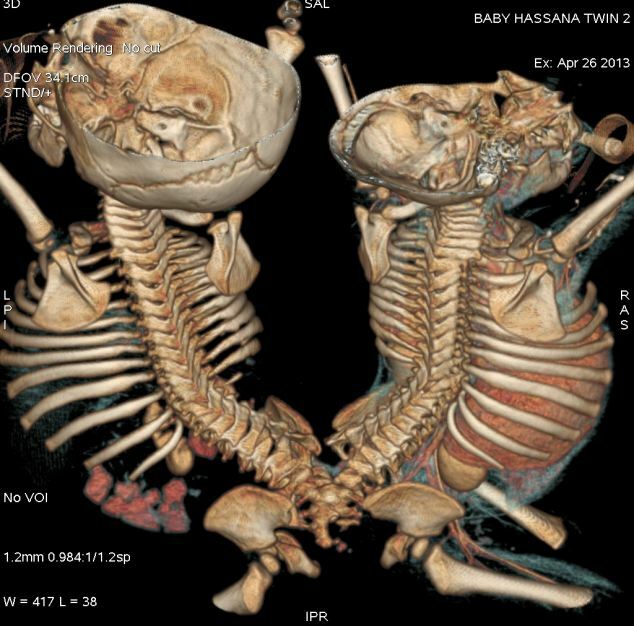 Conjoined twins who shared spinal cords have successfully been separated during a gruelling eighteen-hour operation. 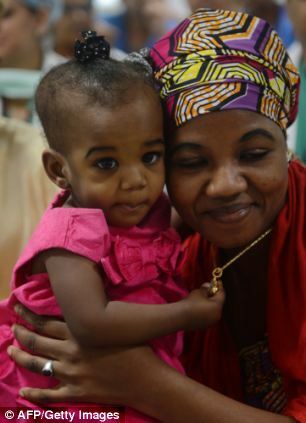 The operation on one-year-old Nigerian sisters Hussaina and Hassana Badaru involved 40 doctors, and is only the fourth such separation to be carried out in the world. 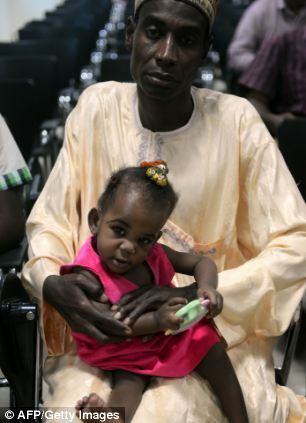 The pair, who were born with a condition called pygopagus in Kano, Nigeria, were joined at the hip and had spinal cord fusion, while also sharing a lower gastrointestinal passage and genitalia. 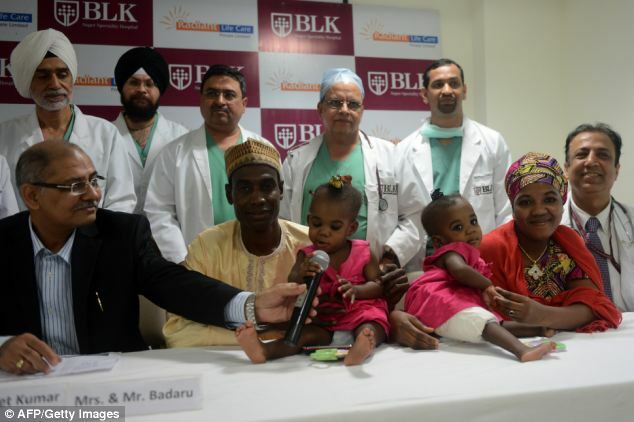 Specialist surgeons at BLK Super Speciality Hospital in New Delhi, India, conducted the separation on August 12. They carried out two procedures - one to divide the twins, and one reconstructive operation. The procedures - which cost an estimated £64,000 and were paid for by a Nigerian philanthropist - were so risky that doctors were forced to conduct practice runs on dummies before attempting it for real. 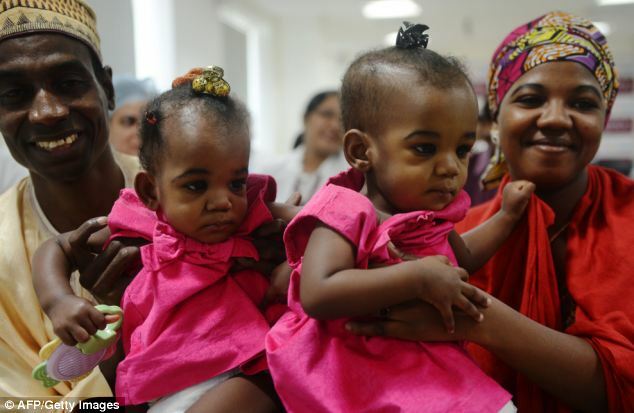 Dr Prashant Jain, the paediatric surgeon who led the team, said: ‘The separation of the Badaru twins was a big challenge as they had unusual sharing of alimentary canal, genitourinary system and nervous system. ‘We overcame this with meticulous planning and team work. Rehearsals were carried out using dummies. ‘Every surgical step was defined and rehearsed over and over again till it reached precision. ‘The girls were colour coded, one pink and the other blue, for eight days before the surgery so that there would be no error at all. For the girls’ parents, father Badaru, and mother Malama Badariyya Badaru, it was the culmination of a long process to save their daughters. 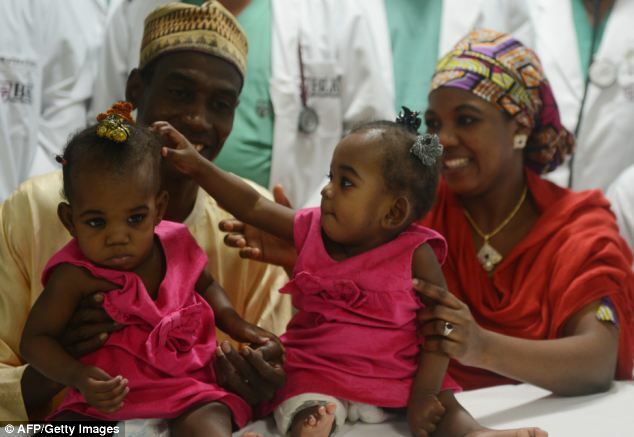 After the babies were born in Murtala Muhammed Specialist Hospital, Kano, last year, they sought the help of local doctors to separate their twins. But the diagnosis was simple - one of the girls would have to be sacrificed to save the other in order to carry out the separation surgery. Desperate to save both their girls, they sought one last opinion, and were referred to New Delhi, where the chance of both surviving was deemed far greater. 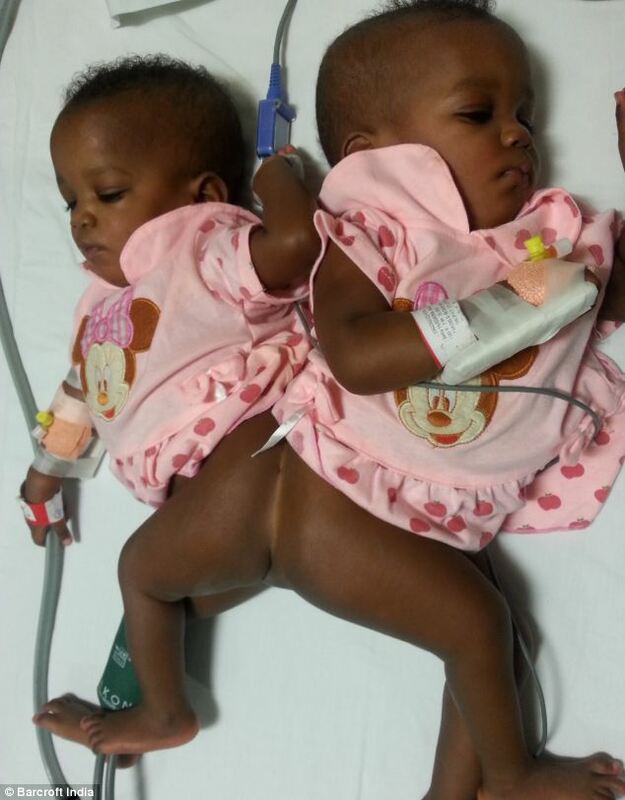 The twins were taken to BLK Super Speciality Hospital, and after multiple evaluations their extreme case was identified as them sharing spinal cords, a lower intestinal tract and a urinary tract. Their treatment was split into three stages. The first, on May 25, used tissue expanders made from silicon implanted in their bottoms to generate enough tissue to cover the wound made in surgery. The second - and most crucial - was performed on August 12 with doctors physically separating the twins before plastic surgeons carried out extensive reconstructive procedures. The third stage is due to take place in three weeks’ time and will involve closing the temporary stool passage of both girls. 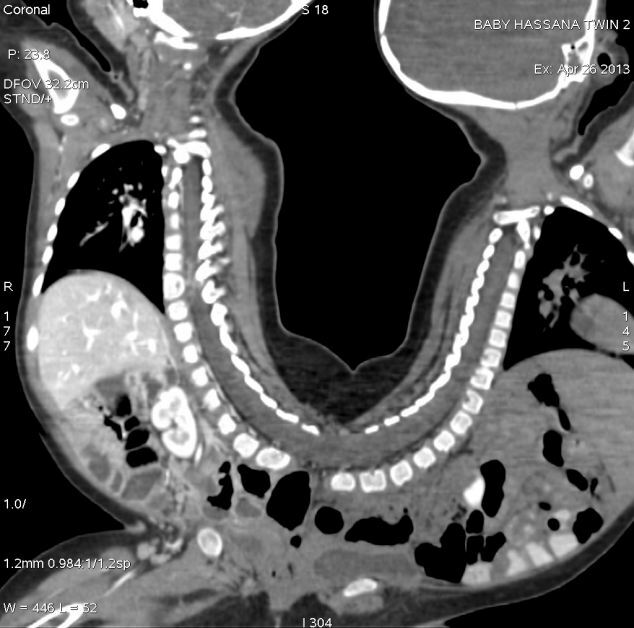 Pygopagus conjoined twins are joined at the posterior - or rump. 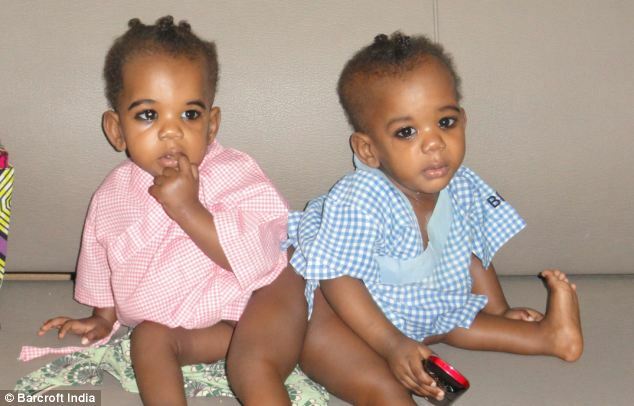 They account for about 19 per cent of conjoined twins. They usually have separate hearts but share a spinal cord.